NOW is the time to get started and prepare for the job/internship search! Some positions are recruiting right now, while others will begin in the summer and fall. 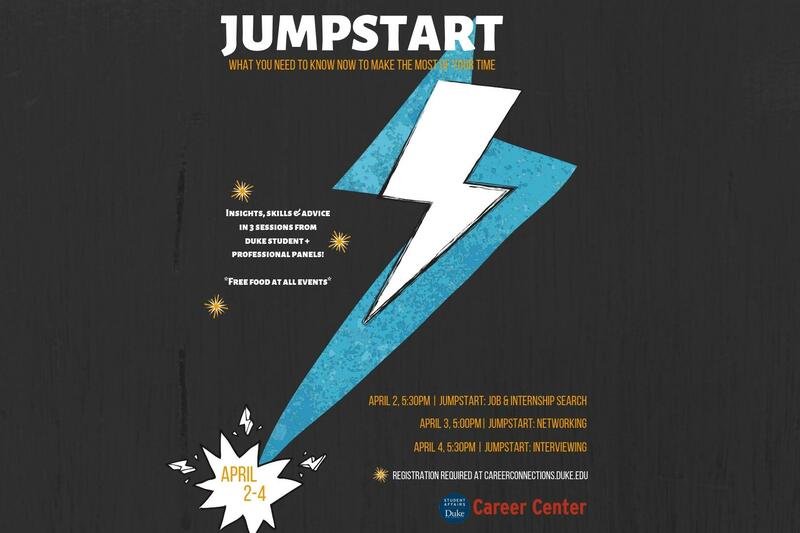 Get a jumpstart on the process by learning tips and tricks for a successful search from career advisors and Duke upperclass students who have successfully navigated a job/internship search in a variety of industries such as business/entrepreneurship, finance, data science, and arts/film/tv. Students applying for job/internships positions in the summer and fall are strongly encouraged to attend, but all undergraduate students are welcome! *Snacks & drinks provided.